Many of the projects and commissions you take on have to be completed on time. You may encounter delays, because an essential piece of equipment becomes defective, or because your tools are not equipped for the required capacity. In this case, you will need a solution, and fast! Even when you are preparing for a project, you take the availability of the required equipment and tools into account. You want to be able to count on a specialized rental company in both cases. Laco offers you a large and all-round product range and expert advice. You want to be able to use the required tools in a timely manner; you can hire exactly what you need at Laco. Please contact us to secure a timely completion of your project. 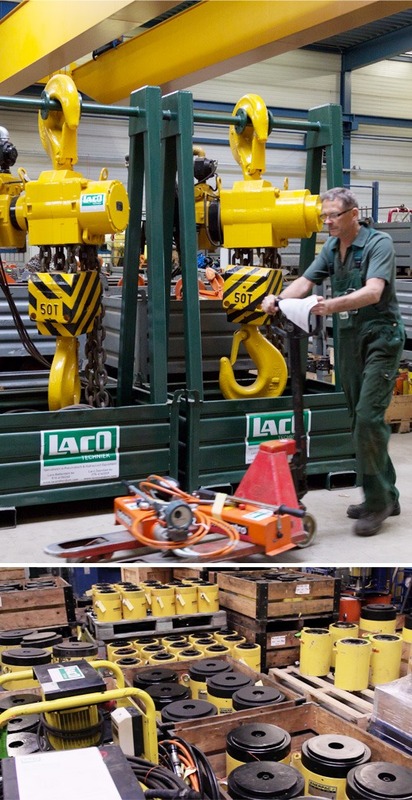 The list of equipment and tools you can hire at Laco is gradually expanding. Do you have any questions or doubts regarding the equipment you wish to hire? Then please contact Laco. Our professional employees will help you out with tailored advice. And they will naturally tell you which tools are available. You will be surprised at the level of professionalism and dedication of the Laco advisors and at how specialized and all-round our rental product range is. WHAT CAN YOU HIRE AT LACO?